Just below the map, you will see three listing. This is called Google Three-Pack or Google Local SEO Pack. If you click the “More Places” button below that listing you will see hundreds of other listings in the same category. But searches seldom go there. Businesses that got listed on the first page will get most of the qualified leads. That’s the reason getting into the Google Three Pack is Vital to your business success. It will give you highly qualified leads at ZERO cost. If you are not in Google Three Pack and your competitor does, you are literally allowing him to steal your business. Why You Need a Place in First Page of Google Search Result? Online World is really…really chaotic, jam-packed and highly competitive. For common folks it’s an overwhelming task to keep their visibility in the online world. If you ever wish to be seen by your potential clients, be on the FIRST Page of Google. Beautiful stunning images of your website or latest technology you used to develop your product catalogue and payment gateway in your webpage are literally useless, if you are not in the FIRST Page of Google search result. Yes, in one year time, your website will be ranked in Google for at least 20 Keywords. All you have to do is to contact us. We will help you to find out the keywords which are highly relevant in your business category. By ranking highly on the right keyword in Google will bring thousands of people into your website. Webhawks is a full-fledged social media branding and marketing company. We specialize in Social PR. We work hand to hand with our clients to create and implement dynamic social media marketing strategies which are specifically developed to scale-up brand awareness and expand online presence on platforms like Facebook, LinkedIn, Twitter, Instagram, Pinterest, and Google+. Our team of social media experts develop platform specific content for your brand. We create custom images and videos and optimize it in various social media platforms to get maximum reach. Our social media campaign is simply not an attempt to merely increase “likes” and “follows”. Instead, we use strategies to connect with your potential clients, create engaging content to get their attention, solicit them to come and know your brand closely and facilitate their conversion into loyal customers. Google AdWords is the most affordable and well-known form of internet advertising. As a matter of fact, it’s a bit confusing and complex too. Don’t forget about its dynamic nature. 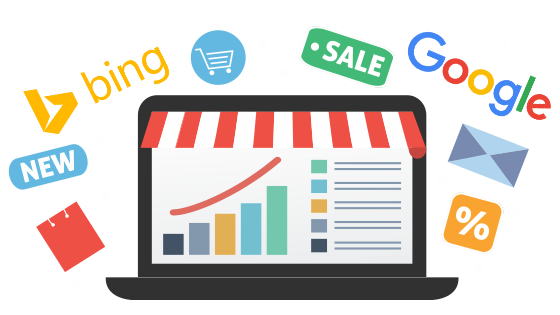 We have a team of in-house AdWords Expert to create, optimize, monitor and manage your AdWords Campaigns. Apart from technical and analytical skills, we do our best to understand your business, your niche, your potential clients, your market demography etc. We look into all your past online marketing campaigns to understand the trends, response rate, conversion ratio etc before getting to action. In short, we make sure to give you the maximum ROI from every penny you put into Facebook Ad through us. We regularly conduct live webinars on Digital Marketing, Social Media Branding, Social Media Selling, Facebook Advertising, Linkedin Marketing, Twitter Marketing, Blogging etc. Our live webinars are useful for both Professional Digital Marketers and Marketing Professionals from other businesses. Please submit your contact details to receive the update about our webinar schedule.